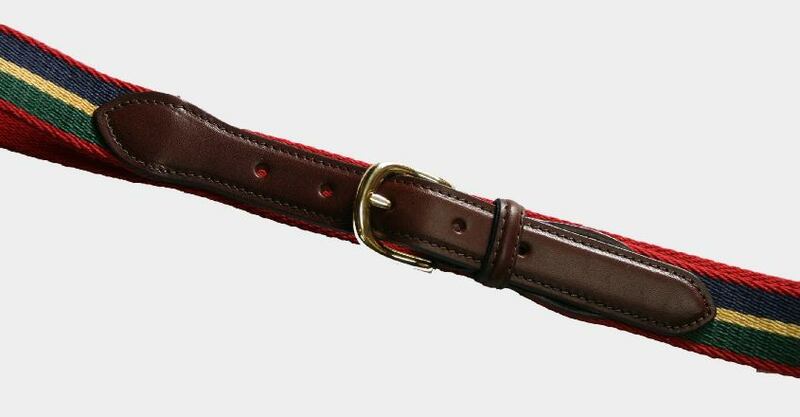 Stitched leather ends and brass buckles. 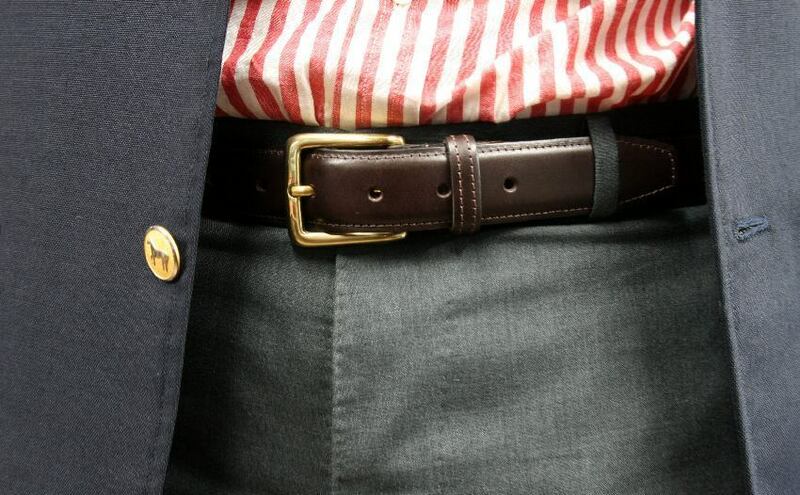 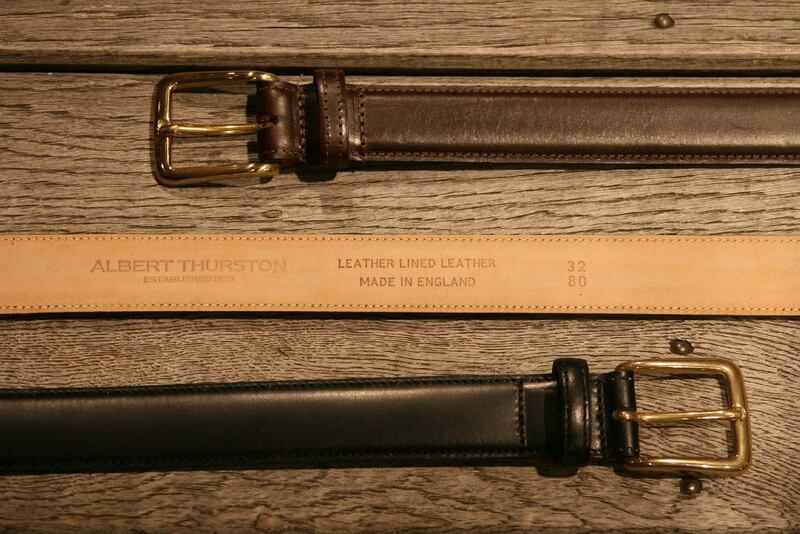 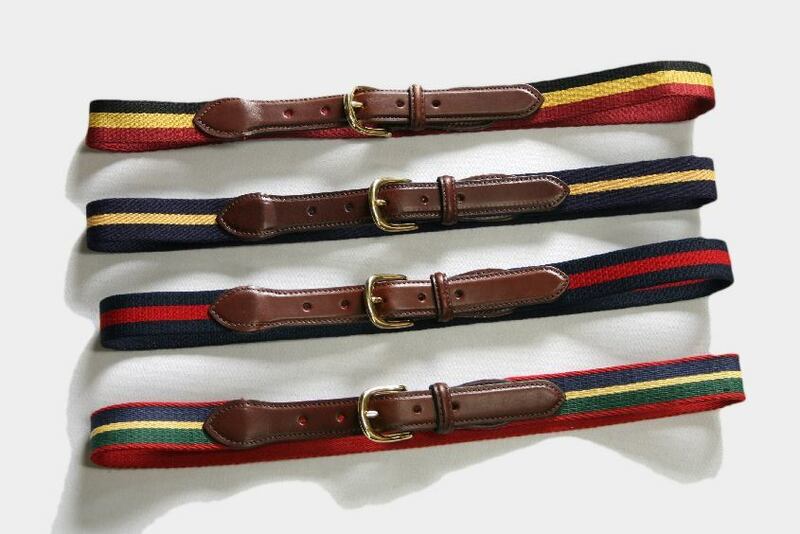 ALBERT THURSTON 30mm WIDE HIDE LEATHER BELT. 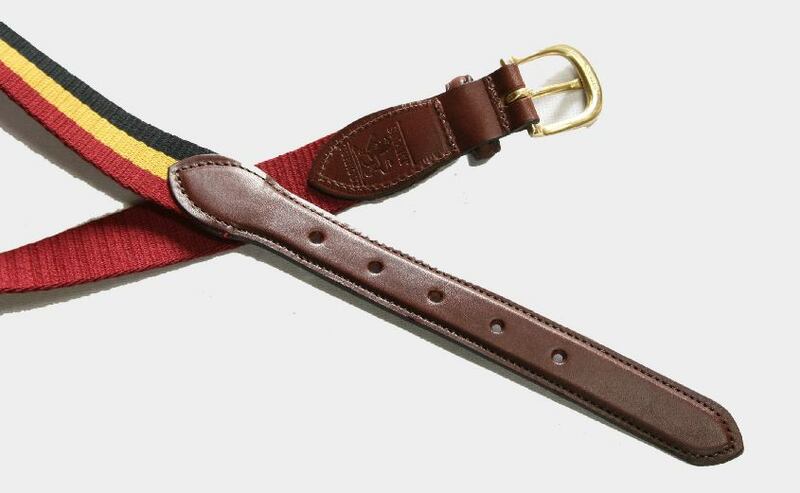 Color : Black & Brown.